Last weekend, I was a total bed-head. The social calendar has been piling up lately, and this week’s schedule is no different. 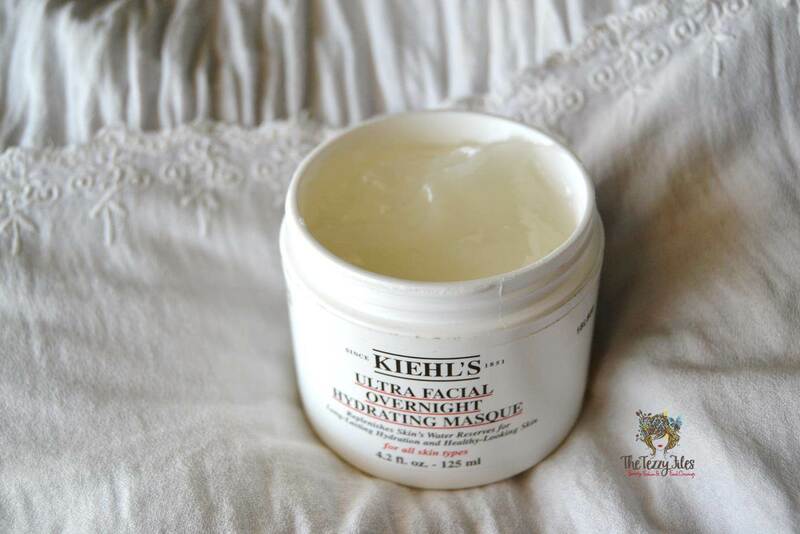 I’m so glad I caught up with some much needed sleep, and through my snoozes, I treated my skin to a brand new product: Kiehl’s Ultra Facial Overnight Hydrating Masque. Why use an overnight mask? Partying out till late? No worries. Just apply a thin layer to clean skin and go to bed. Wake up with dramatically rejuvenated skin. Dry, dehydrated skin? An overnight mask provides optimal hydration, and gives the complexion an overall youthful, supple glow. After sun care. Lounging at the beach for endless hours can cause havoc to the skin. An overnight mask can repair the damage and re-hydrate the moisture lost. Travel. Long flights can really dry out the skin. Using an overnight mask is a great way to replenish lost moisture. Kiehl’s, the skincare giant originating from New York, needs no introduction. Established in 1851, the brand’s old-world apothecary principles combined with advanced medical knowledge makes it a must-try for high quality products. 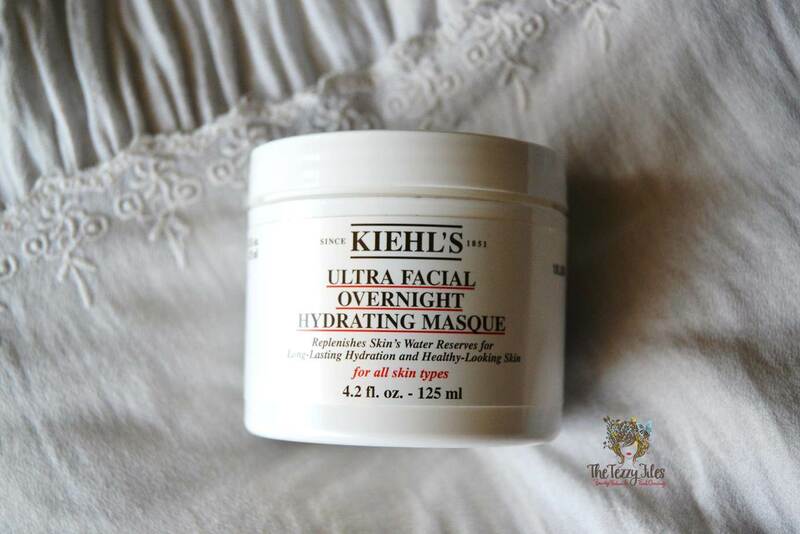 Being a Kiehl’s fan, I was very excited to put the Ultra Facial Overnight Hydrating Masque to test. Kiehl’s Ultra Facial Overnight Hydrating Masque instantly boosts skin’s ability to absorb and hold moisture for sustained hydration. Applied before bed, this masque replenishes skin’s water reserves, allowing it to retain moisture and function like a “hydration reservoir.” This formula, with pro-hydration glacial proteins and desert plant extracts, helps protect and reinforce the skin barrier – boosting hydration levels and leaving skin smoother and softer, refreshed and supple. Fountain Plant: Native to Asia, this plant is able to survive in drought conditions. In traditional Chinese medicine, this is the primary herb used to treat yin deficiency, clearing heat and irritability. Within this formula, it helps to increase the production of humectants, substances that attract and hold water molecules, from the surrounding environment. Pro-Hydration Ingredients: Glycerin and Urea to help boost skin hydration, and prevent moisture loss. Fragmented Hyaluronic Acid: A form of Hyaluronic acid with a lower molecular weight. Due to its small particle size, it has been shown to penetrate the upper layers of the skin faster than higher molecular weight hyaluronic acid. As a water filling ingredient, hyaluronic acid is known to facilitate the diffusion of water and nutrients on skin’s surface helping to maintain hydration. At night before bed, apply a healthy layer of Kiehl’s Ultra Facial Overnight Hydrating Masque onto clean skin. Allow masque to work while you sleep. Follow your normal skincare regimen in the morning. After my usual bedtime regime of cleansing the face, I applied a thin layer of the mask all over avoiding the eye area. I felt an initial tingling, almost burning sensation, but I was warned this was to be expected given one of the key ingredients is Fragmented Hyaluronic Acid. Thankfully it didn’t last long. I removed access product with tissue, leaving a fine layer of the mask on my face. The product itself has a gel-like consistency with no particular scent. This opaque mask is a little sticky to touch, but after the recommended 10 minute wait, it dries into a clear film. However, the product does not dry up in its entirety. I still had a little residue left when I woke up. This can be a little messy on the pillow, but I also think this is a good sign. If all the product had absorbed into the skin, this would be yet another night cream instead of a skin-barrier mask. After washing all the product off my face, I could see my skin looked visibly supple and hydrated. Even after washing it all off, the skin retained its suppleness without the immediate need for a face cream. I loved the results so much, that I’ve been using it for 3 nights consecutively! I think I’ll space out the usage now; don’t want to use up the entire tub just yet 🙂 The recommended use of this mask is once a week. Paraban free, Silicone free, Fragrance free, Colorant free and therefore ideal for sensitive skin. Gel-like texture is hydrating without being greasy. A little goes a long way. You just need to apply a thin film on the skin. Acts as a barrier on the skin preventing loss of moisture while sleeping. Really delivers on the moisturizing promise! Skin looks and feels visibly refreshed and hydrated after washing the next morning. Does not dry out completely, and can therefore mess up the pillowcase. I recommend using a towel over the pillow when using this product. At AED 314 for a 125 ml tub, this product does not come cheap. Overall, Kiehl’s Ultra Facial Overnight Hydrating Masque is a great product to keep in hand for days when the skin needs that additional boost of hydration. Although the pricing might seem steep, you only need a very thin film of the product per use. I envisage my jar will last me a good 6 months (as I plan on using this product twice a week). Posted in Product Reviews and tagged Beauty, beauty review, dubai, skincare, UAE. Bookmark the permalink. Thank you for such a wonderful article dear and from my side I want to say that i am using intensive hydrating masque from long for my hairs and its really effective.It will improve your hairs for sure so try it once people because is blended with antioxidant-rich African Rock Fig to restore and lock in moisture. Smoothes and fortifies follicles for stronger, healthier frizz-free hair.